Weblake – Design Lead. 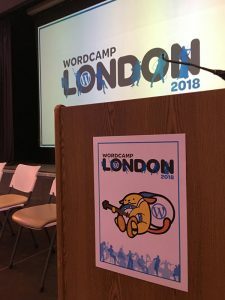 WordCamp London 2018. My summary. 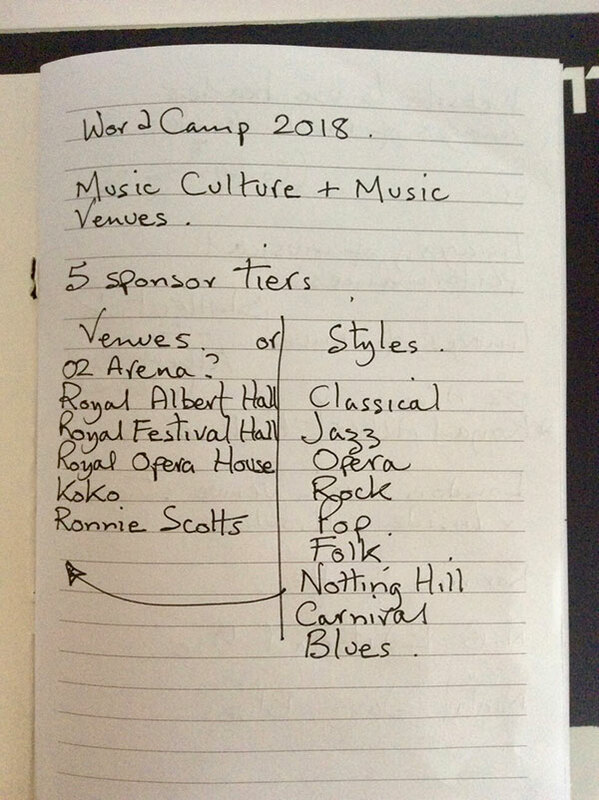 If you have attended a WordCamp before you are welcome to skip to the next section ( nothing new to see here ), but, if you haven’t been to a WordCamp, or, you are sat there thinking “WordCamp what?” I will explain. 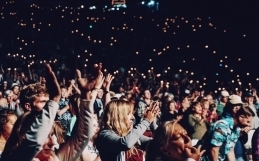 A WordCamp is a Community Event / Conference for everything WordPress. WordPress is a fantastic CMS ( Content Management System ), now powering in the region of 30% of todays websites. WordCamps happen all around the world and throughout the year. They come in all shapes and sizes. The events present all types of talks and workshops that are appropriate to all types of WordPress user, be that an admin assistant, a copywriter, a business owner, through to WordPress designers & developers. WordCamps are organised and managed by members of the WordPress community. One of those being me. As in business, there is a management tier and a range of teams that create the main Organising team. Each of those teams have a Team Lead. Then, for the event itself there is a team of volunteers that help the Organising Team run the event. There is so much to do, the Organising Team just couldn’t cope without our wonderful volunteers. 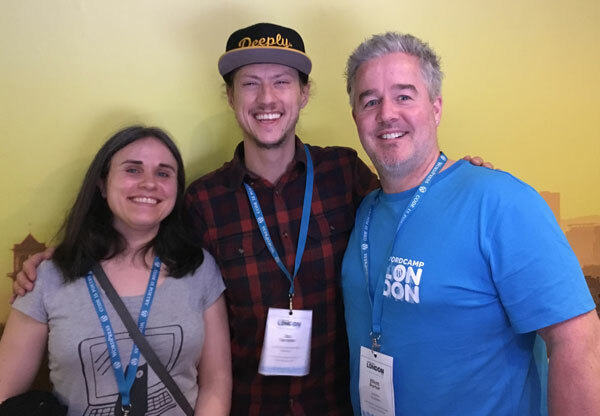 WordCamp London attracts over 600 attendees each year and this year was no exception with us tipping towards 700 attendees. As well as the conference talks and workshops, WordCamps take pride in their social events. 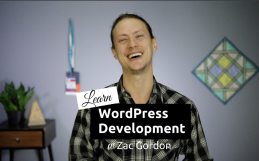 It’s all about the WordPress Community and including everyone involved in our Community. No matter how much experience a user has, everyone is included. So the social events at WordCamps are a large feature of each event. They take a lot of organising as well. Above everything described so far, WordCamps take each individuals safety, happiness and comfort seriously. To address this, every WordCamp has a Code of Conduct. 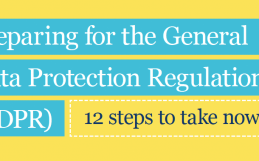 The Code of Conduct provides a set of rules that need to be adhered to and also provides individuals protection in a number of ways. A lot of WordCamp attendees come on their own and for the very first time ( I was one of those attendees back in 2016 ), so it’s a good feeling to have when there, knowing that the organisers are looking out for you. The requirements for organising and delivering a WordCamp are colossal. The planning and work begins 7 months prior to the event and no wonder why. 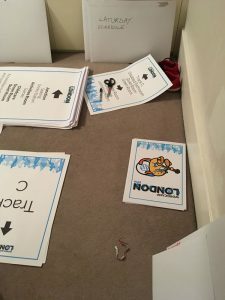 As a rookie Organiser in 2017, I had a good insight to the mammoth task involved. 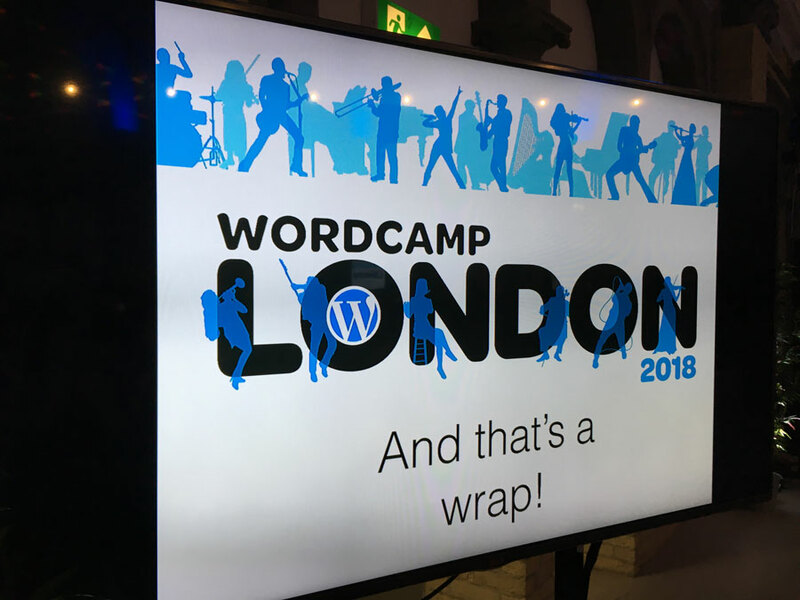 When WordCamp London 2017 finished back in April 2017 we all took time out after giving pats on each others backs, thinking “Until next year…”. It’s incredible how quickly the next year’s WordCamp comes around. 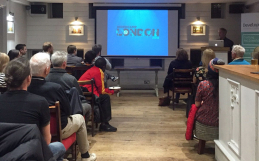 It didn’t seem long since we’d wrapped up the 2017 event in that April that we were all meeting again in August 2017 to form the Organising team to begin work in September 2017. 7 months ahead of the main event in April 2018. There are a number of core teams involved and in each team there is a Team Lead, a Deputy Team Lead and team members / assistants. In places, some team members cross over and offer their skills and time to various teams, but as Team Leads, you are dedicated to your cause and have no time for anything else. Trust me on that one. 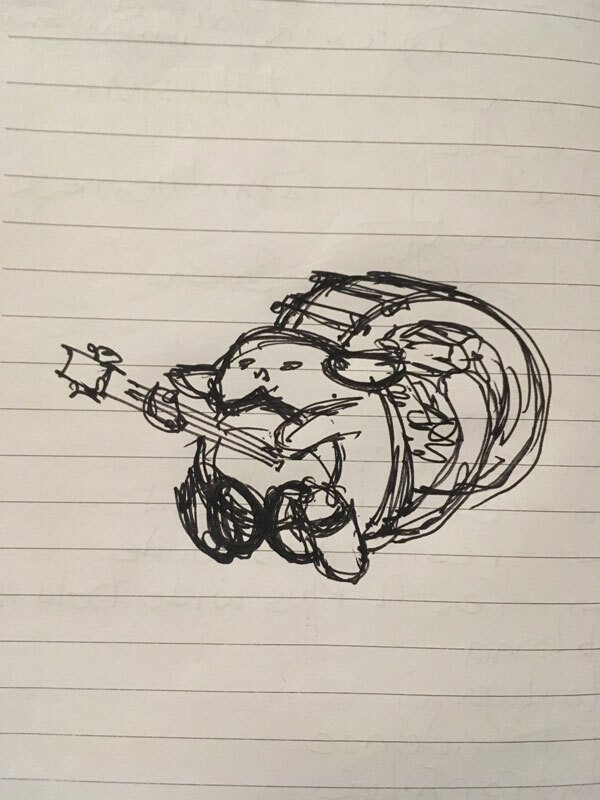 As a rookie in 2017, I started out in the Comms team, but eventually pulled into the Design Team to rescue a sinking ship ( from a Design perspective ). Without ranting, something I would love to see in WordCamp organising is more ‘accountability’. We all work without fees and expenses. It is totally and completely voluntary. Everyone is in the same boat. It’s unhelpful and disruptive when an individual jumps into a Team Lead role at the beginning and then dissapears for weeks on end! That’s what happened in 2017! Back then, I supported the Lead Organiser as we had to literally rescue the design for the event. Weeks had passed with zero progress. There is a lot of design and artwork required, as I found out the hard way. Back in 2017 we managed to meet the deadline, just, with us literally completing artwork the night before the event. So for me, there needs to be more accountability when becoming an Organiser, especially a Team Lead. Regardless of the team in question. The design mess of 2017 was not going to happen again, so I stepped up to the plate and put myself forward for 2018 Design Team Lead. It was an honour to be accepted into that role. We had a new Lead Organiser as well, well new as in, new to the role, but Ana had been Deputy Lead Organiser in 2017. We couldn’t have wished for a more wonderful Lead Organiser. Most of the team for 2018 were involved back in 2017 so we hit the ground running, which felt great. The main requirement as I see it, for being a Team Lead, is of course to have the skill and ability for the team you are leading. That sounds obvious right? I have 30 years commercial Design experience ( the last 10 specialising in the web ), so reckoned that was a good start. Additional requirements include; dedication ( we all give our time free of charge and with zero expenses in return, so there is huge cost involved ( tangible and intangible ); commitment ( which is hard when you run your own business and WordCamp Organising is in addition to your business demands and time with your family ); access to a time machine ( lots of time is required as referred to just now ); patience and lots of it ( especially when certain individuals join in the process ( rookies too, who’ve never attended a WordCamp, or organised one, let alone taken on Team Lead roles ) to be part of a team but think it’s their way or the highway ( Yes it happened in 2018 ) ); a love of WordPress ( that’s why we are all here isn’t it? ). 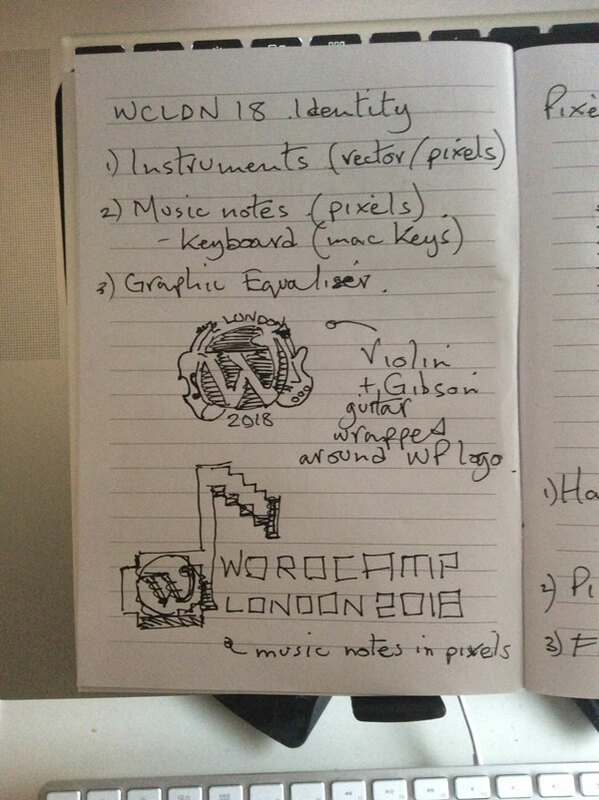 With the teams in place we begin the process of planning and making a start on WordCamp London 2018. We rely on the great communication app ‘Slack’. A weekly meeting takes place with the full Organising Team, then at various points throughout the week each team meets to discuss their tasks and requirements. That is a huge amount of work, with everything forking off from the main event theme and brand identity. With that in mind it’s imperative that the right approach is taken with the theme and also the brand identity. The inexperienced think it’s ‘just a logo’, but that is just a drop in the ocean. We aren’t creating a simple set of business stationery here ( static ), this is a huge event with a life and energy and with a wide range of design applications, so the theme and brand identity requires a dynamic treatment and the ability to adapt to the various applications required ( dynamic ). The first task to lead was the theme and brand identity design. As a team of three, we didn’t have a huge stack of resource. Each of us worked on our own concepts and then presented the best of them to the full Organising Team. Presenting to the full team was a smooth and enjoyable process, with great feedback and an excitement for one theme in particular. That happened to be: Musical Culture of London. London has such an incredible music scene with all styles of music there for everyone. Great venues, a great scene all round. 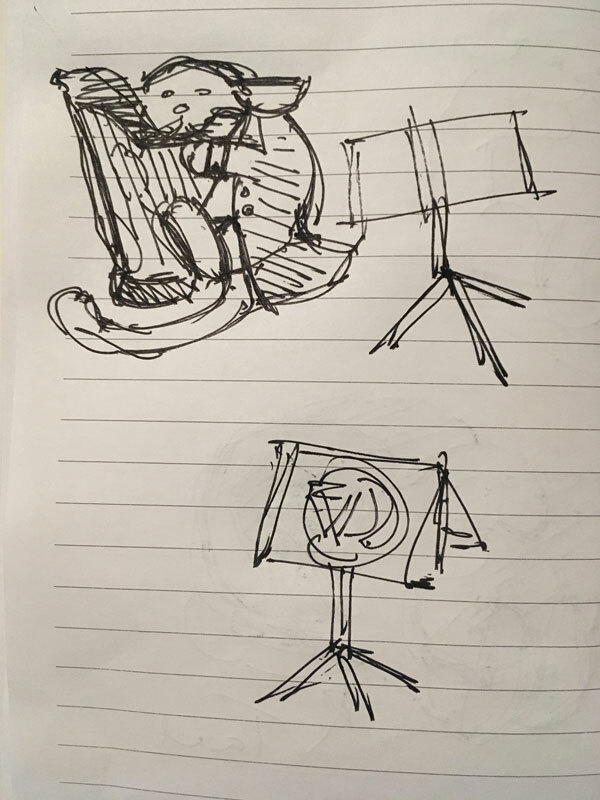 We felt the theme gave huge scope for dynamic application and with musicians being performers we could see the possibility for breathing life into the whole events design and marketing. 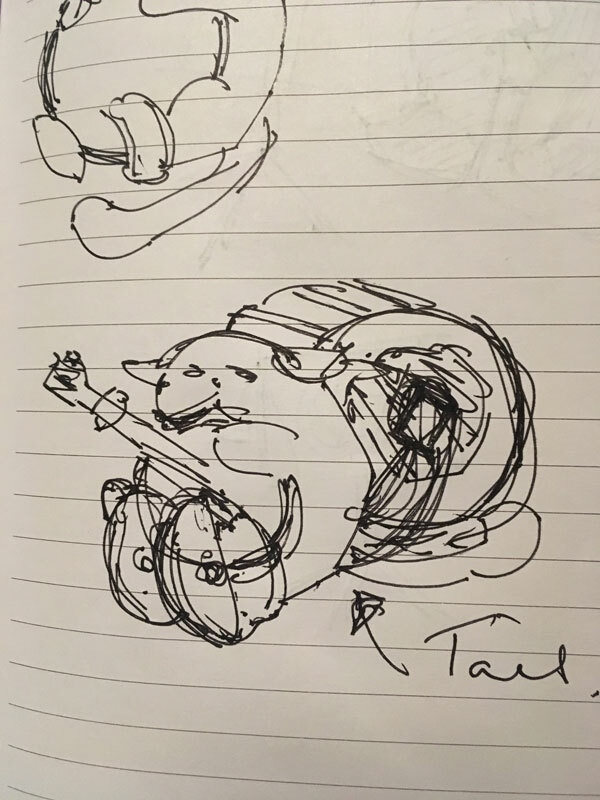 Incorporating all styles of musician, I love the energy and animacy in this design. We are a Community, so it’s all about people and including everyone, regardless of style, taste or ability. In every step of this design I had the big picture in my mind, so as I developed this design I could see its application, even down to transposing the transparency effect of the silhouettes into a single colour print on the event t-shirts. With a lot of money to raise to run the event ( we are talking tens of thousands of pounds ) we understandably have a tight budget for swag. Swag is loved at all WordPress events, but it’s all money and the cost of entry to the event is pretty much free, so the ticket price doesn’t give us much finance to spare. Hence, a single colour print on t-shirts was the most we could hope for. But that is how considered this design was. I had the vision of how that single colour application could be applied. As the design gained life we applied it to the list of required applications and this gave the event even more life. I was so proud to see this design become stronger as each application took place. 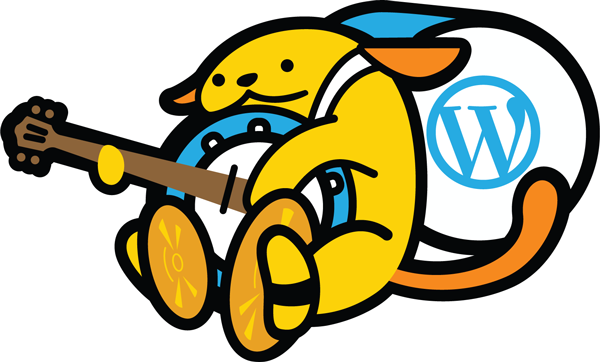 One of the main elements of any WordCamp is our WordPress mascot, the wonderful Wapuu. Last year I supported Jenny Wong in creating the 2017 Wapuu, but this year I had the priviledge of developing our Wapuu. Great fun. Excitement was building, so much so, Ana wanted to use more than one Wapuu. So I increased my workload and created more than one Wapuu. These were then developed into a sticker sheet ( so kindly provided by the fantastic Sticker Giant in USA ). 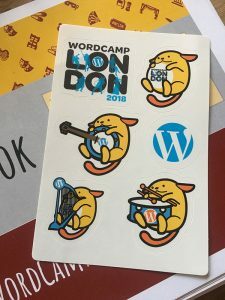 Another incredibly proud moment took place when I was informed that our WordCamp London Wapuu had been selected to appear on the WordCamp Europe 2018 Wapuu sticker sheet. WordCamp Europe took place last year in Belgrade, Serbia, 14-16th June 2018. It’s incredible that no matter how much planning and calendar watching you do, the event seems to creep up too quickly. No sooner had we taken a break through Christmas we were looking at just 2 weeks to go. It was the beginning of April 2018. How did that happen? With some of the usual bumps in the road ( nothing ever goes to plan eh? ) we had all the required items in production. Print suppliers briefed and in progress. It’s not just about Design, being Design Team Lead. There is massive production requirement involved. Anything digital is a breeze, as any production issues can be resolved without cost, but signage, t-shirts, bunting and sticker sheets go to print with your design and artwork, and on my head be it! Yikes! Remember, I am not getting paid for any of my time and I am running my business at the same time. My Weblake Customers must and always will come first, but as I referred to above, being a Team Lead is a huge commitment, so I can’t take my eye off the WordCamp London ball just because I have a busy business running. I wish that same commitment had been there in 2017 from the then Design Team Lead. My values are right. You commit, so follow it through, no matter what! 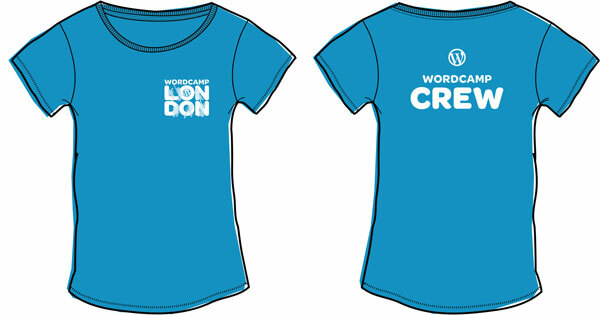 There are hundereds of people relying on this work and my efforts, and our whole WordCamp London team. 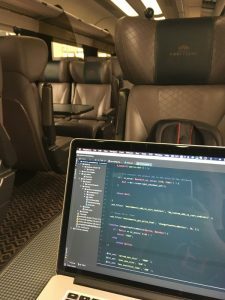 In what seemed like the blink of an eye, there I was sat on the train from Bristol, heading for London Paddington and WordCamp London 2018. There was nothing else that could be done now. Design was looking fab, all production on schedule ( but with some nerve wracking delivery timescales ), although a lot of the initial panic was eased as Ana had been sending me images of deliveries of production as they arrived. That was so greatly appreciated. A late night was ahead as the committed amongst us met at Ana’s AirB&B to run through deliveries and production, sort final requirements and generally create the plan of attack for the next morning and the weekend ahead. Part of the Design Team spent the evening sorting the huge amount of signage into logical areas of the buildings. We finished this task at around 11pm and did finish off the night with a pizza and a glass or two of soft drinks ( if you believe that you’ll believe anything ). We had an early start on the first day of WordCamp, being there at the venue at 6am. With registration opening at 07:30 we had just 1.5 hours to apply signage to 3 buildings and adjoining corridors. Even with a team of volunteers we still struggled to complete the task, but we did. Just! The event opened with Ana presenting a wonderful welcome to all. As I stood there at the back of the Great Hall I felt extremely proud ( even though I say so myself ), and rightly so. To see all of the WordCamp London Design applied around the venue and on attendees t-shirts, across TV screens and projected onto huge projector screens, on name badges and seeing Tweets covered in my design work was a proud, proud moment. This event is part of the global WordPress and global WordCamp market, so I worked hard to make this stand up as worthy and of the quality expected. The rest of the event was the huge success we hoped. Every moment spent on this WordCamp had been worth it, but it took its toll. I knew I had given my all as I was mentally and emotionally exhausted. I hit the hay again by 11pm on Saturday, which was 5 hours before one of my Design Team decided to do the same. Ha ha. Can you imagine how his head felt that next morning, actually I should write ‘that same morning’? I just had to look at him to know the answer to that. There is a benefit of being tired and needing your sleep, it meant I didn’t have a raging hangover for the last day of the event. As we came to a close, we all felt the strain of so much effort over the last 7 months. Following a successful break down of the event venue and all WordCamp equipment we did head to the local pub. My fatigue was again working for me as I sipped a beer, but knowing this one would be the only one before I head back to Paddington and my train. If you are into WordPress in any way, I implore you to at least attend a WordCamp, but better still become part of an Organising Team. Especially if you are working alone, or new to WordPress. It’s a fantastic way to make contacts and friends. I have made a lot of great friends through this experience. 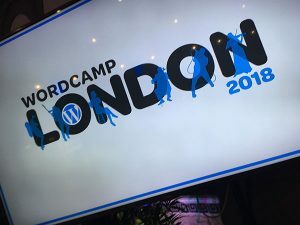 So, who knows what WordCamp London 2019 will bring our WordPress Community? For me, I know that I need to take a break from the huge commitment that is required for creating such a great event. So for 2019 my plan is to go back to enjoying these events as an attendee. With 2 years organising of WordCamps under my belt I have most definitely ‘given back to our Community’. What will be next I wonder? I believe, it’s a great time for a new route for this great event. A good time for a fresh perspective. 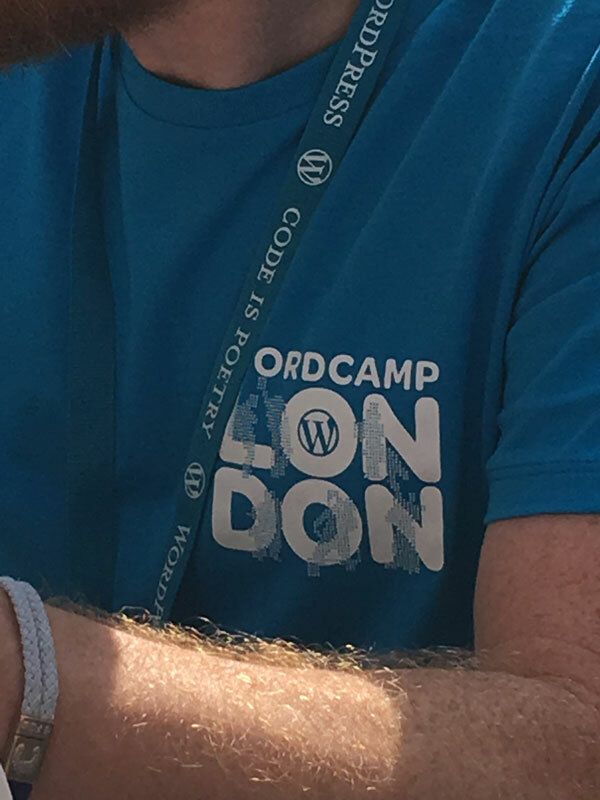 I am looking forward to seeing what next year’s WordCamp London 2019 brings us. I will see you there in 2019 ( as an attendee ).